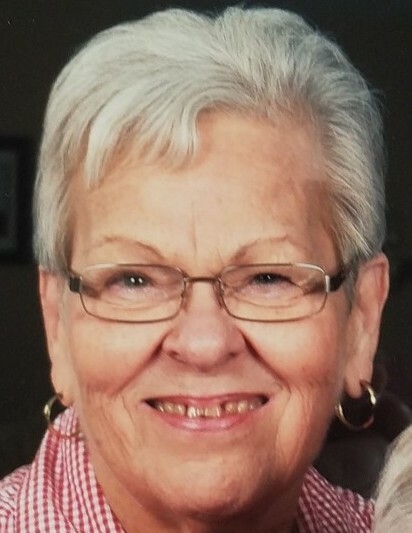 Suzanne (Suzie) Clark, 76, of Millersville, Maryland, passed away unexpectedly at home Sunday, 10 February 2019 in the arms of her husband. She had been in poor health for several months but had been on the road to recovery. Suzie was born 21 November, 1942 in Fort Stockton, Texas to Pete F. Barkis and Addie Seideman. She married her husband Donald Clark on 8 October, 1966 in San Angelo, Texas. Survivors include her husband of 52 years, Donald, daughter Jennifer and husband, Buddy Snead; three grandchildren: Collin, Harley, and Tucker; one sister, Xena Jones of New Braunfels, Texas and a large extended family. She was preceded in death by her parents, two sisters, and one brother. Suzie was a bookkeeper by trade, but dropped out of the workforce on three occasions to live in Japan, England, and Germany. She was an active volunteer in the schools of her daughter and grandchildren. She also volunteered in religious education, girl scouts, and sports teams. Suzie had a strong Catholic faith and was a member of St Bernadette Parish for many years. She enjoyed sewing and loved seeing her finished projects come together. She sewed many Halloween costumes, school picture outfits and formal dresses. She also enjoyed scrapbooking, crocheting, and cross stitching. She enjoyed travel and had traveled to many foreign counties through the years. Suzie was actively involved with her grandchildren, and provided day care for all the of kids during elementary and middle school years. Her grandchildren brought much joy to her life and she was always finding ways to spend time with them, even teaching one of them to drive. She attended most sporting events, concerts, and performances that the children were involved in. Suzie had an unbreakable, positive spirit that all who met her could feel. Even during struggles, that spirit remained. She had a hearty laugh, a giant smile and enjoyed life to the fullest. She made friends easily and was a loyal friend to many. Her huge heart and generosity for others will be greatly missed. Family and friends are invited to call at the family owned and operated McCULLY-POLYNIAK FUNERAL HOME, P.A. 3204 Mountain Road on Thursday February 14, 2019 from 3-5 & 7-9 PM. A Funeral Mass will be celebrated on Friday February 15, 2019 at 11:30 AM at St. Bernadette Catholic Church 801 Stevenson Road Severn, Maryland 21144. Interment Crownsville Veteran Cemetery.